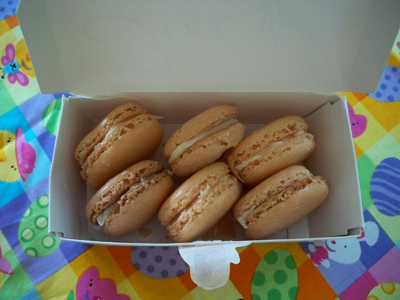 Tina has been going on and on about French Macarons (macaroons) lately, so I decided to make some as Easter treats. They were much easier than I expected. 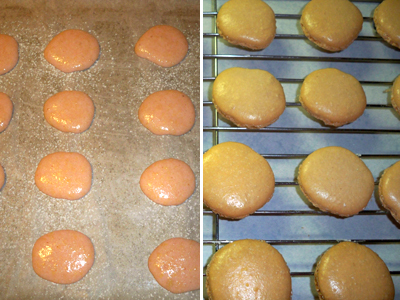 The batter was pink, but they came out of the oven tan! I was impressed how they went from being little puddles of batter to puffy, crispy cookies. And they tasted pretty darn good too. you have inspired me to finally try to make these, i have always been so intimidated. they are by far my favorite cookie! 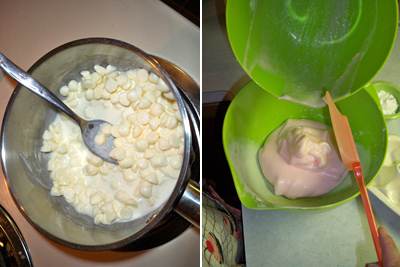 did you follow the recipe in martha stewart? also what is that egg yolk penguin thing, i'm so curious! Does the recipe call for vanilla? If so, and you used regular instead of clear, that could account for some of the color change. Also, what recipe did you use? Curious. Very cool. I had thought these were much harder! 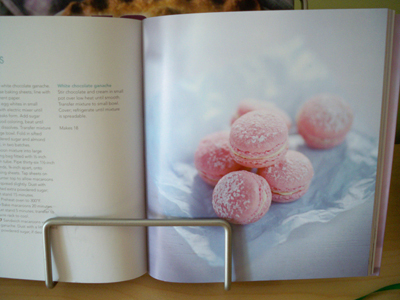 French macaroons are in my "want to try" pile...they look great!!! So pretty and dainty! Like Shanna, I've also been weary of making these, but you make it seem like such a breeze. I had such a hard time making these. Just curious what recipe you used? Your macarons look scrumptious! Your macaroons are beautiful! I had some last year at a bakery that I go to and they were very expensive, but delicious! Happy Easter. You must have found the perfect recipe to get this so perfect the first time out. Good job! next time you're in l.a. you have to try paulette's macarons in beverly hills... yum! 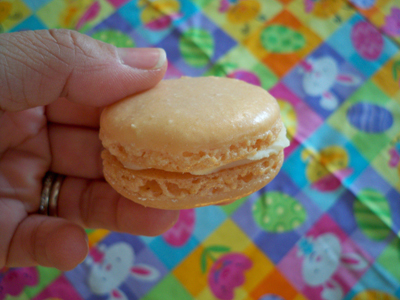 I've read blogs about people trying to get their macarons to have proper "feet" for months. I am still too intimidate to make them myself. Yours came out perfect the first time! You are definitely going to have to share that recipe. paulette's and miette in San Francisco have delicious macaroons...of course, so does Paris. 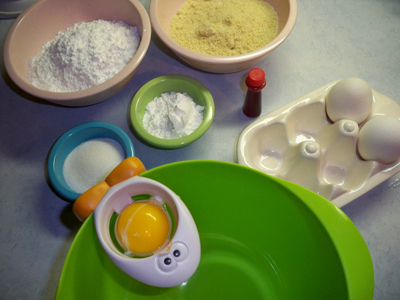 I'm kind of intrigued to make them myself now that you illustrated how easy it can be!